Abu Dhabi: For the last four days, Aisha Balsaki has been working closely with Mohammad Yahya, a 23-year-old Emirati living with Down syndrome. For her, the experience has been life-changing. “I get tired and sometimes feel like giving up. But Yahya’s enthusiasm is unwavering,” Balsaki, 21, an Emirati programmes delivery specialist, told Gulf News. “And coming away from this experience, I honestly believe we should all advocate for more people of determination to be part of mainstream schools. We all have a lot to learn from them, and we could all do with the dose of positivity they inspire,” Balsaki added. 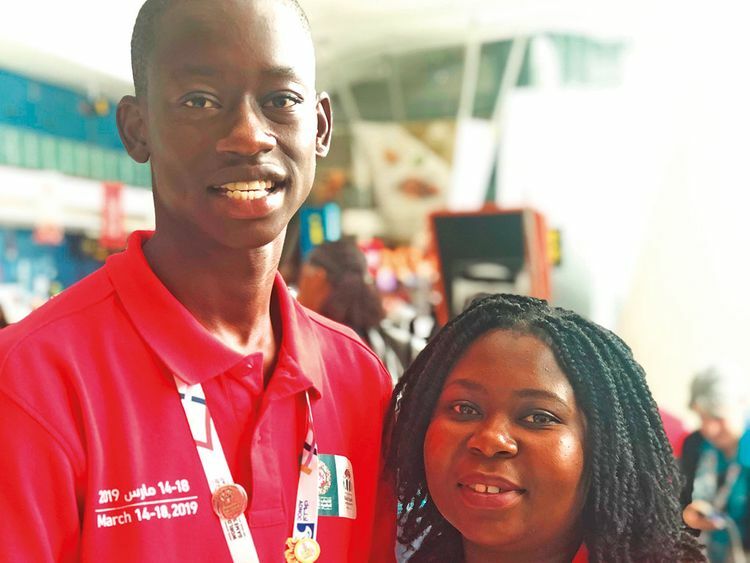 She was one of 150 youth and adult leaders from 35 countries who are participating in a five-day Global Youth Leadership Summit organised alongside the Special Olympics World Games 2019. The summit is a platform for youth leaders from across the world to learn, share best practices and develop plans to implement the inclusive vision of Special Olympics in their home communities around the world. A total of 7,500 athletes are competing across 24 categories in this year’s World Games. In addition to the Games, the international event is also seeing a number of cultural programmes, such as the art exhibition at the Emirates Palace, to encourage further inclusion around the world. At the Youth Summit, each person of determination was paired with a person without disability, and pairs from different countries completed projects aimed at promoting greater inclusivity worldwide. “Yahya wants to participate in the next World Games in the horse-riding and tennis categories, and every day, he trains for at least two hours. His passion is motivating, and I believe many more workplaces in the UAE could benefit from this energy,” Balsaki said. Her thoughts were echoed by Watzanai Tszangirai, 21, a psychology major from Zimbabwe who participated in the Summit. “When I go back to Zimbabwe, I want to organise weekly community dialogues to help parents of people with determination find the voice they need,” she said. Tszangirai was matched with Malvin Mukomve, a 20-year-old from Zimbabwe with dyslexia. “Of course, I would be delighted if I had a chance to work with people without [special needs]. For now, I would also like to compete in golf at the World Games, so I regularly play eight-holes for about five hours at a time,” Mukomve said.